Speaking engagements help us get the word out about Direct Primary Care. If you'd like to have Paul Thomas, MD of Plum Health DPC speak at your next event, contact him directly at paul@plumhealthdpc.com. Here's a list of speaking engagements that we've participated in so far! TEDxDetroit brings together thought leaders from Metro Detroit during a transformational event. We participated in this wonderful event in November 2017. You can read more on our blog post, here. 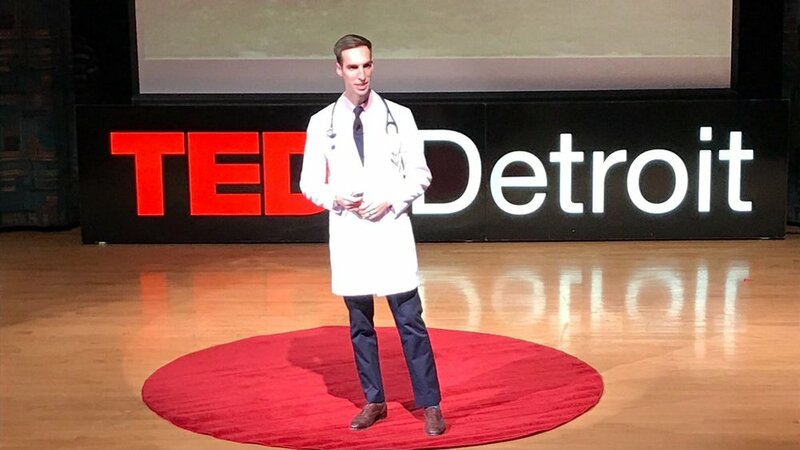 In July 2017, I had the priviledge of welcoming 300 new medical students to Wayne State University School of Medicine when I was invited to give the Keynote Speech at the annual White Coat Ceremony. The Morris S. Brent Lectureship Series is a part of the Wayne State University School of Medicine's Alumni Reunion Weekend and it will take place on May 19th. Read more about our planned presentation here.